Loose-leaf collections can be equipped with 2, 4 or 23 punch holes. With 23 punch holes or 'Euro perforation', we combine 4 and 23 punch hole perforation. When using the Euro perforation, the blades fit into both a 4 and a 23 ring binder. 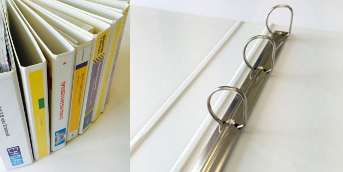 The presentation ring binders are of the highest quality with a 4'D' ring mechanism. The transparent insert pocket protects your customised insert. Loose leaf, loose-leaf collections or similar. e.g. case binder or loose-leaf binder. A4 size with 2, 4 or 23 perforations. 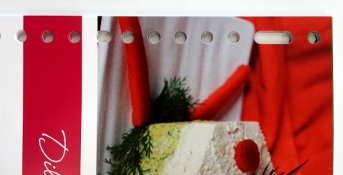 23-hole is the so-called 'Euro punched perforation' and fits in every Ring binder. Very suitable for training materials. Of course, there is a wide selection of paper types and thicknesses. Print black and white or colour (CMYK). The cover is always printed in full colour. The inner pages can be printed single-sided or double-sided, black-and-white or full colour. Would you like to print on loose leaf? In A3, A4 or A5? Different paper types are available. Print in black and white, full colour, single or double-sided. Simply order online. Do you have a one-page file? Then select the product group 'Flyer'. We have the most extensive selection in terms of design and size. 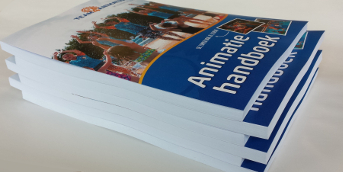 Do you want your (course) material complete in a ring binder? Or ready to bind it yourself? With or without perforations? Black and white or full colour? Nothing could be simpler � let us do it all for you. If you want everything to be covered choose the ring binder option, everything will be delivered neat, complete and fast! Creating course material is easy using Office or Mac templates. Choose a thicker quality paper (e.g. white offset 120g/m²).